Vladimir Airapetian is a research associate at the National Aeronautics and Space (NASA) and is a faculty member at Embry-Riddle Aeronautical University. Mr. Airapetian is an active member of the International Astronomical Union. 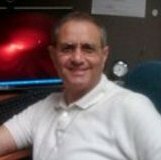 Since 2008, Vladimir Airapetian has been a research associate professor in the Department of Computational and Data Sciences at George Mason University.